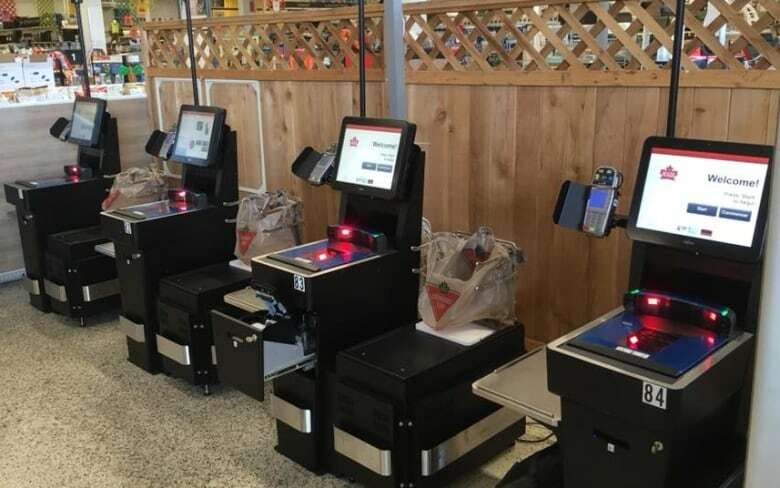 While retail automation appears inevitable, at least a few Canadian Tire stores in Toronto, plus a grocery chain in the U.S. are bucking the trend: instead of adding more self-checkout machines, they’re removing ones already in place. 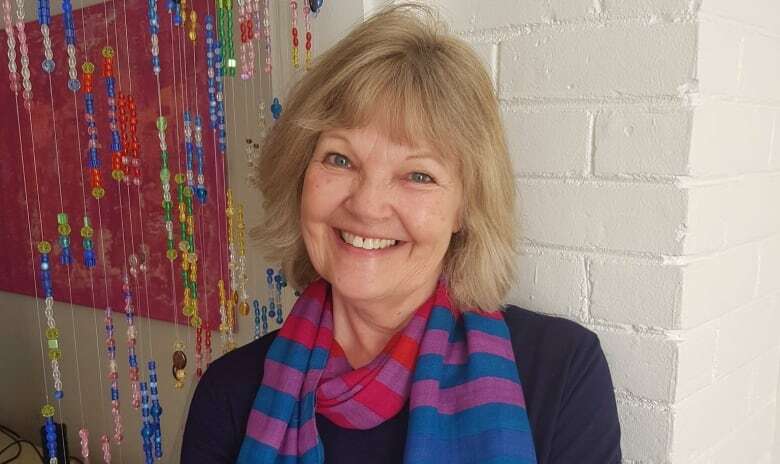 When Jacqueline Burnett discovered that her local Canadian Tire in Toronto recently removed its self-checkout machines, she was ecstatic. "I can't say enough with how impressed I was," said Burnett, who prefers to interact with a cashier and believes many others feel the same way. "I think they're on to something." In an era where retail automation appears inevitable, at least a few Canadian Tire stores in Toronto, plus a small grocery chain in the U.S., are bucking the trend: Instead of adding self-checkout machines, they're removing them. Self-checkouts, which were created to provide convenience for customers and cut costs for companies, have become an indelible part of the retail landscape. But the machines have also sparked a backlash from shoppers who complain that they can be difficult to use and threaten cashier jobs. "Basically, they're asking us to do their work," said Burnett. CBC News identified three Canadian Tire stores in Toronto that recently removed their self-checkout machines. The retailer declined to say whether any other locations have followed suit. It said in an email that each of its stores is independently operated by an associate dealer who decides "what checkout experience works best for their customers." Of the three Toronto Canadian Tire stores that pulled their machines, one responded to a request for comment. Associate dealer Tim Tallon said his location had four self-checkouts and because they were old, they were inefficient and kept breaking down. "It was a bit of a pain," he said. He removed the machines last summer and created a queue system — much like the clothing chain Winners — where all shoppers wait in one line for the next available cashier. Tallon said the single line moves quickly and he's received positive feedback from customers. "I just think it's more efficient and we're quite happy with it," he said. "I can't see us going back to self-checkouts in the near future." Diego Fuentes shops at Tallon's store located in Toronto's Stockyards shopping district. He said the new system is a timesaver — unlike self-checkout. "When you have to weigh things, and you have to check the product code, all that stuff, it's a waste of your time." Fuentes is also happy the machines are gone because he worries about their potential impact on retail workers. "It becomes the norm and people get used to it. And sadly, it means [cashiers] just lose their jobs." 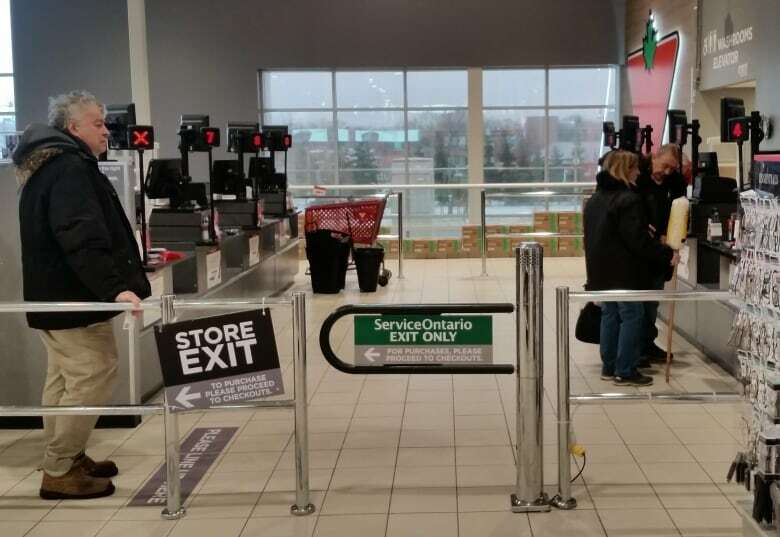 The Canadian Tire store where Burnett shops also created one line for all customers after removing its self-checkouts. She said the wait for a cashier is much shorter now. "I think that they're going to find they have a happier customer base." In the U.S., PCC Community Markets is saying goodbye to all its self-checkouts, which the grocer started adding to stores in 2008. 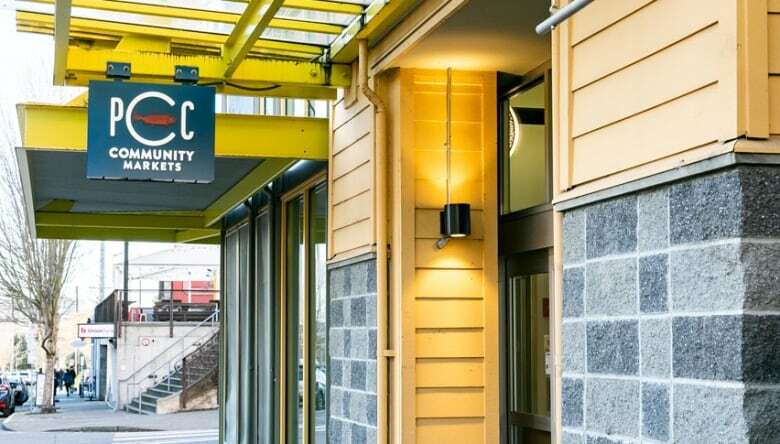 Two of its newest stores never got the machines and PCC says it will have completely removed the ones installed in its other nine locations by May. In their place, the Seattle-based co-op is adding an express lane, operated by a cashier. "It's right for the experience we want to create," said Heather Snavely, PCC's vice-president of marketing. She said the co-op ran a test last spring in one of its stores, where it compared the number of people who used self- checkout versus going to a cashier. Two-thirds of customers chose cashier lines, she said. This led PCC to conclude self-checkouts just weren't a good fit for a chain that focuses on community. "The majority of our shoppers prefer that interaction with someone," Snavely said. "You can't create connection at a kiosk or community at a kiosk." Despite some stores pulling their self-checkouts, retail consultant Marion Chan said the tide is still turning toward automation. "It is inevitable, like any technological change," said Chan, owner of TrendSpotter Consulting in Toronto. She said many people, especially younger shoppers, like the ease of self-checkout. However, a retailer might choose to remove the machines because some customers still find the technology cumbersome, said Chan. "It is a cost-savings — but if it's really annoying people, then it's probably not worth it." But as technology advances, Chan predicts many retailers will eventually move to a completely cashier-less format and more consumers will embrace the automated checkout process. "Like any technological change, we will get pulled into that vortex." 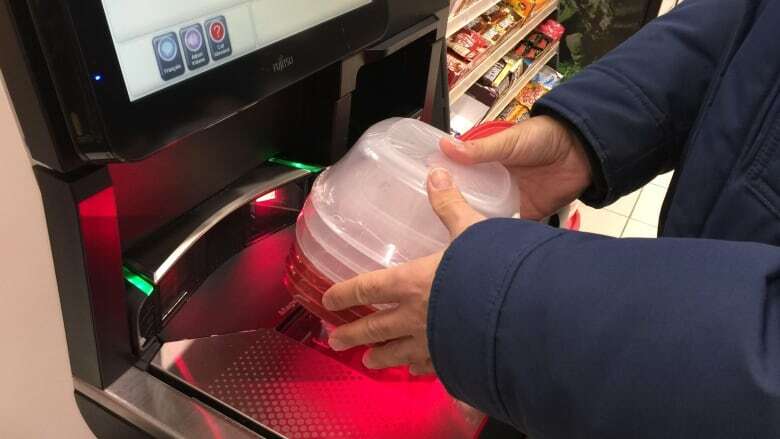 Kyle Ross, of Summerside, P.E.I., says he's already been pulled into the self-checkout vortex: When shopping, he checks out using a machine whenever he can. "They are very convenient and make for a quick trip in and out of the store," he said. "Usually no lines at all — it's very fast and I find them very simple to use." And while some Canadian Tire stores have ditched their self-checkouts, other stores have added machines. The retailer reports that the ratio of self-serve to full-service checkouts in its stores has remained constant over the past year. Still, Burnett hopes that the self-checkout-free format at her location catches on. "It's a good plan for the future. It's not old-fashioned in my opinion."